The Impact Report One-Pager gets straight to the point. This sleek, succint infographic is a handy way to promote our network’s impact and can be customized to feature your agency’s local data. Click here to download the infographic. To download a copy that you can easily print at home, click here. 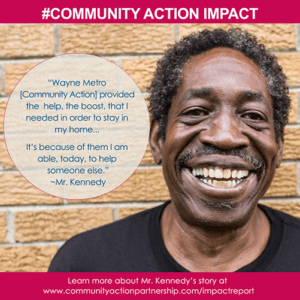 The purpose of the Release Toolkit is to provide resources to promote the outstanding work of the Community Action Network through the first National Impact Report. We believe by telling the story of our network’s collective impact, we will expand our reach and raise awareness of our mission. Within this toolkit, you will find sample social media posts, infographics and memes, sample press releases, partner letters, and more. To access memes and infographics, click here. 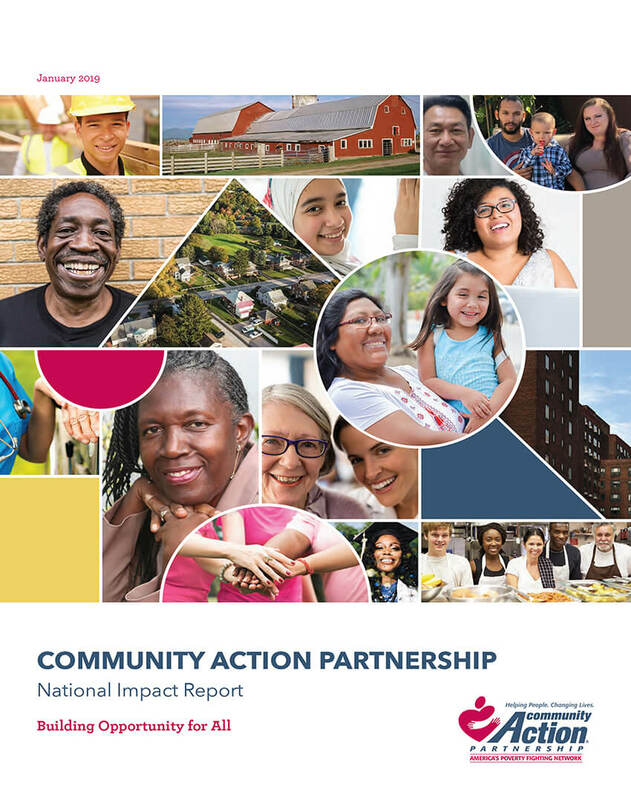 WASHINGTON D.C. – The National Community Action Partnership released today the first National Community Action Impact Report: Building Opportunities for All. 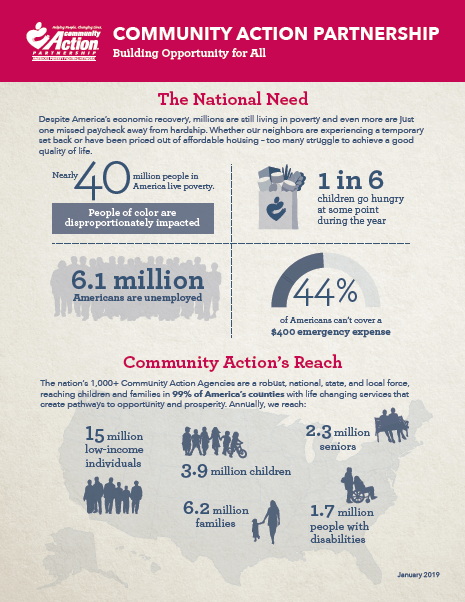 This unique and comprehensive report looks at how Community Action Agencies across the country impact the lives of 15 million people each year, creating pathways to prosperity. 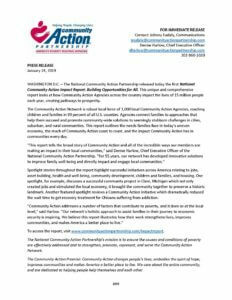 The National Community Action Partnership released the Community Action National Impact report on Thursday, January 24, 2019. This webinar discusses how you and your local agency, or state association can be engaged at the local or state level in its release. The webinar shares content, graphics, and data from the report highlighting how these elements can be used in your local launch efforts. Additionally, the webinar offers tip and tools to demonstrate how you can incorporate your local data, and success stories into your launch to increase local interest in the report. The stories in these pages illustrate the creativity, commitment, and reach of Community Action. We are grateful for the contributions of agencies who shared the stories of their work: Community Action Akron Summit; Community Action, Inc.; Community Action Partnership of San Luis Obispo County, Inc.; Enrichment Services Program, Inc.; Garrett County Community Action Committee; People Incorporated; Mid Michigan Community Action Agency; and Wayne Metro Community Action Agency. Thank you to Mutual of America for their support in the development of this report. Click here to download the full list of citations.